Beer is losing market share to wine and spirits! Beer is the biggest alcohol category by far! Both are true, and both come from the same report. Wait, what? The BI’s data was full of contradictions. Craft beer volume grew and consumer spending on beer increased, but both did so at slower rates than previous years. Additionally, recent presentations from the Brewers Association emphasized the importance of taproom sales and the dangers of discounting beer. Yet Uhrich says price cuts — in particular the move from 12-packs toward 15-packs — “helped ‘economy’ offerings become the only beer segment to improve its overall performance last year.” He also says craft beer’s strongest channels are grocery and convenience stores, not taprooms. What’s a brewer to do?! All I can say is, act cautiously and authentically. Don’t open a new state-of-the-art brewery someplace way across the country if your local sales are declining. Don’t discount your beers unless you’re ready to face the consequences of lowering the value of your product. And, above all, stay true to your brand — even if that means allowing it to evolve. That’s easier said than done, to be sure. But I believe in you, beer. Rivertowne Brewing, a popular brewery in Pittsburgh, has filed for Chapter 11 bankruptcy, the Pittsburgh Post-Gazette reports. The May 4 filing is the result of various debts, including $271,500 MLB’s Pittsburgh Pirates, $125,000 to the NHL’s Penguins, and other six-figure sums. However, reports Trib Live, Rivertowne co-founder and CEO Christian Fyke says the company has “no immediate plans to close anything,” and that the brewery chain plans to roll out a “re-engineered” menu, including new beer recipes. Fyke, in the meantime, is going to “sort through his company’s finances,” the Post-Gazette reports. Is Rivertowne’s fish gasping for air? Simultaneously filing for bankruptcy and ramping up production is a strange move. It sounds like a last-ditch effort to save a brewery that’s paling in comparison to newer, cooler companies. When Christian and Lisa Fyke and their family members first opened Rivertowne as a bar in 2002, there were fewer than 1,000 breweries in the country. Now, there are upwards of 6,300, including several in Pittsburgh. 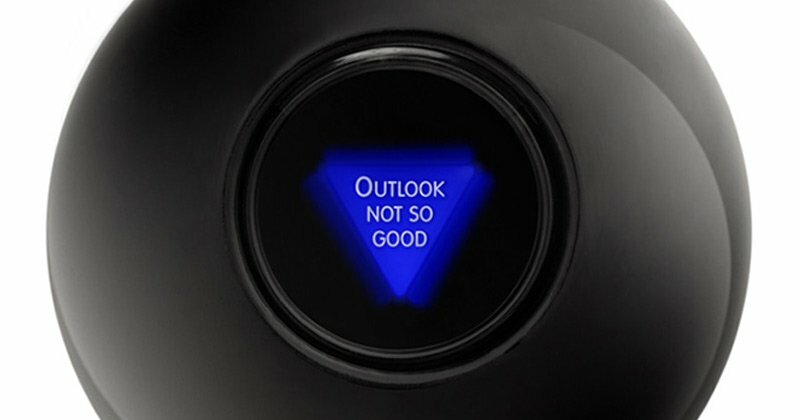 We wish this brewery the best but, as our trusty Magic 8-Ball might say, outlook is not so good. Miami’s Wynwood Art District: America’s Next Beercation Destination? Cerveceria La Tropical USA, an affiliate of Lagunitas, recently purchased a 22,000-square-foot warehouse space in Miami’s Wynwood neighborhood for $10.5 million. Originally from Cuba, Cerveceria La Tropical ceased operations there in 2008 and started brewing at Wynwood’s Concrete Beach Brewery in 2016. The brewery will join other recently opened breweries in the Wynwood Art District: Veza Sur Brewing opened in 2017; J. Wakefield Brewing and Concrete Beach Brewery opened in 2015; and Wynwood Brewing, Miami’s first craft brewery, opened in 2013. This is great news for Wynwood, and further establishes Miami as a destination for beer. Here’s the thing, though: Lagunitas is owned by Heineken. Veza Sur is owned by Anheuser-Busch InBev. Concrete Beach Brewery is owned by Alchemy and Science. Wynwood may be seeing beer-focused revitalization, but it’s not necessarily small, local business owners revitalizing the neighborhood. It’s big companies with big bucks. A beer renaissance doesn’t come cheap.